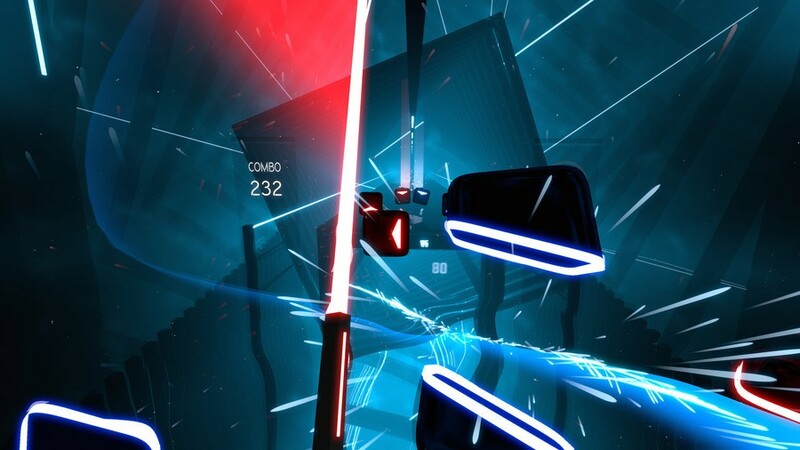 We can all agree that Beat Saber is excellent fun. It even caused this author and editor Sammy Barker to lock horns in a high score battle, such is the addictive nature of this PSVR rhythm slasher. The only real trouble is the limited number of songs available to play; once you've mastered them all, what more is there to do? Well, you can start with Expert+ difficulty, which has just been added to the PlayStation VR version of the game. If you're flying through Expert like it's nothing, this extra level of challenge should be just what the doctor ordered. It comes in a small patch, taking the game to version 1.06. The update also brings the ability to reduce the amount of visible debris onscreen after you cut a block, which will probably come in handy when you're trying to get to grips with Expert+. More songs are on the way too, but there's no word on when the first DLC song pack will arrive. 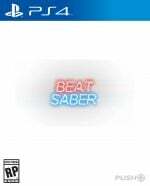 Will you be firing up your Move controllers to take on Expert+ in Beat Saber? Wave your arms like a madman in the comments below. Having grown up alongside PlayStation, Stephen has developed a wide knowledge of video games, from AAA blockbusters to the smallest indie gems. With relentless enthusiasm, eclectic taste, and a passion for writing, he’s always on the lookout for the next big thing. He also has the Platinum for The Witness, so there’s that.